← What’s on in Leicester this Christmas? As a time for them to really let their hair down and enjoy themselves, it is important that you plan as much as possible ahead of time. To help, here is our detailed guide telling you everything you need to know to create a fantastic atmosphere and a night to remember. The Golden Rule: It is never too early to start planning the big day. If you do it straight after the previous party, people will still feel the excitement and be more likely to respond in detail. The Golden Rule: Always set aside emergency budget. If this is your first time planning a work social event, handling the budget can seem daunting. But there are many apps and online calculators created for this exact purpose. Here are a few that could help lighten the load of dealing with the Christmas stash of party cash. The Party Budget Estimator is the perfect opportunity for you to test out how much you can realistically spend on each aspect of your party, including the number of guests, venue prices and decorations. And if you don’t like the look of the numbers you simply erase them and start again. The Christmas Planner app for Android is not only free but pretty snazzy. It allows you to plan the budget and keep track of all expenditures. This will help you relax and enjoy planning the party, without having to constantly do calculations to make sure you are still within budget. It can even help you plan New Years too, so you can kill two birds with one stone. 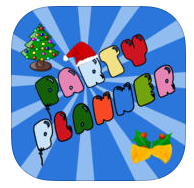 Finally, The Christmas Party Planner from iTunes is the perfect option if there is a team of you planning Christmas. You can record what tasks have been delegated to whom, and the checklist option means that nothing will be forgotten. It has a built-in budget estimator, helping you differentiate between estimated costs and the actual funds required. Bespoke Option: This is the best option if you are looking for a unique party where you source your own decorations, caterers and entertainment, etc. Package Option: Many venues will provide the décor, food and entertainment. While this takes away a lot of the stress on your side, it is a one-size-fits-all deal; meaning you won’t be able to differentiate from what they offer. Sharing Option: For smaller companies with a lower budget, you could choose to share your party with another company. This means you have a ‘larger atmosphere’ for half the price. If the general consensus from the initial survey you sent out is that lasts year’s venue was a great choice, then you may be able to simply repeat the choices made last year. The Christmas night is generally a night off from the diet, so it is important to ensure that your colleagues aren’t disappointed. Again, you might want to go with the general consensus in regards to whether you have a buffet or sit-down meal. We highly recommend that you attend a tasting of the food that will be served on the night, in order to prevent the night being ruined by sub-standard food. We know it is a hard job – but someone has to do it! You won’t be able to impress everyone. If there is a broad range of musical tastes, it might be an idea to opt for a DJ or an iPod system. That way you can cater to a variety of tastes, but don’t feel bad if one or two people aren’t satisfied. You will never find music that suits everyone. Although it is Christmas, relying solely on festive songs might backfire; especially if the night is set to last for hours. Try a 1:5 ratio – one Christmas song for every five ‘regular’ options. You can’t beat the classics, and The Chronicle Live has an excellent festive playlist that you can disperse through your own set – whether it is a live band or one of the other options. Also, consider other forms of entertainment to keep the party in full swing. Whether it is a comedian or magician to move from table to table, or investing in some casino games; multiple entertainment options are sure to go down a treat – but may only be an option for companies with bigger budgets. When the night is over, you want to know that everyone got home safely. There are many options when it comes to getting groups of people home, all of which can be completed before the night of the big party. At Q.M Coaches, we have a range of minibuses and coaches available for hire seven days a week, at unbeaten prices and cater to parties of all sizes. Click here to book your Christmas party transport. This guide will help you plan the most successful staff Christmas party, promising an enjoyable night that is remembered for years to come.